Good news for seniors! 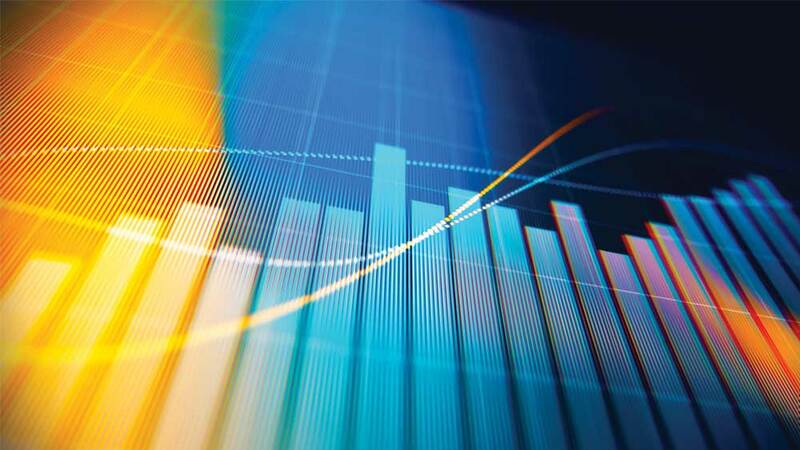 Due to the robust U.S. economy, the American Council on Gift Annuities recently authorized a broad rate increase—the first since 2012. Seniors age 65 or older living on fixed incomes who need to protect their assets can look forward to higher guaranteed income payments through ICR’s Charitable Gift Annuity (CGA) program. CGAs are planned giving instruments involving a simple contract between ICR and the donor. The annuities offer additional benefits unmatched by other secure investments such as certificates of deposit, savings accounts, and commercial annuities. In exchange for a gift of cash or stock, ICR provides a partial income tax deduction and a guaranteed fixed-income stream for life, a portion of which is paid out tax-free. The fixed-income amount is determined by several factors, the donor’s age playing the biggest part. The older you are, the higher the rate—just one of many benefits to growing older! CGAs can be written either for an individual or a couple, and payments can begin immediately or be deferred to some future date. Once the donor passes, ICR applies the remainder of the gift to our ministry. For seniors, CGAs simply provide the highest available guaranteed returns. When both the income tax deduction and the tax-free payment portion are taken into account, the overall effective rate can be considerable. The accompanying chart offers examples based on a $10,000 gift and current applicable federal rates with immediate payments. If you want to support ICR’s ministry but still need ongoing income, please prayerfully consider a gift annuity. 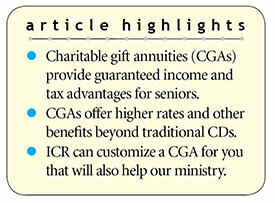 ICR requires a minimum gift of $10,000 and can only offer CGAs to people 65 or older (or deferred until 65). Contact us at 800.337.0375 or stewardship@icr.org and provide your name, birth date, state of residence (not all states qualify), and the gift amount you’re considering. We’ll be happy to design a customized proposal just for you. Cite this article: Henry M. Morris IV. 2018. Rising Rates on Charitable Gift Annuities. Acts & Facts. 47 (8).